Using their immediate environment as a point of departure for their feature length films, the artists Henning Fehr and Philipp Rühr have investigated various social systems and their inherent contradictions. In the background of their work, there is a persistent question about how smaller communities can shape or even transform a society at large. In The Production Line of Happiness (2014) for example, the artists filmed their own class at the Kunstakademie Düsseldorf: While the students ruminate on the (im)possibilities of revolutionary resistance, the camera is already underway at an art fair, where the works of these very students – including those by Fehr, Rühr and their former professor Christopher Williams – are being offered for sale. Even in their most recent trilogy Polyrhythm Technoir (2014 - 2015), which focuses on the socio-political landscape of the techno scene and its conditions of production, the entanglement of art and commerce is ubiquitous. Yet there is also another thread connecting the works: The films don’t tell stories in any traditional sense. Rather they opt for atmospheres and situations instead of events, long takes instead of quick edits, and silences and soundscapes instead of dialogue. In this way, their films resonate with the tradition of Structuralist Cinema from the Sixties as well as the practices of so called Slow or Contemporary Contemplative Cinema. Through their emphasis on duration and their anti-representative approach, the works generate a sense of actual lived experience. One has to endure the pain of successive edits which refuse to consolidate into a single resolution and apprehend the dissolution of the subject’s boundaries as a form of openness. Only then can what Nadin Mai calls “breathing with a film” set in, and the complexities and depths of what is not shown come to the fore. The exhibition at ACUD is the most comprehensive presentation of Fehr and Rühr’s artistic practice to date. Besides the trilogy Polyrhythm Technoir, one of their very first films My Language is an Unpaved Road (Crystal Bridges) (2013) will be shown as well. Two more works created in recent years supplement the selection. The works, dealing with inclusion and exclusion, mainstream and underground, match outstandingly with a place like ACUD. Thanks to the interplay of art, music and discourse and with its diverse protagonists, the Kunsthaus addresses different audiences and offers a unique context as well as an exceptional source of inspiration for contemporary artists. Henning Fehr (born 1985 in Erlangen, Germany) and Philipp Rühr (born 1986 in Brühl, Germany) live and work in Cologne, Germany. 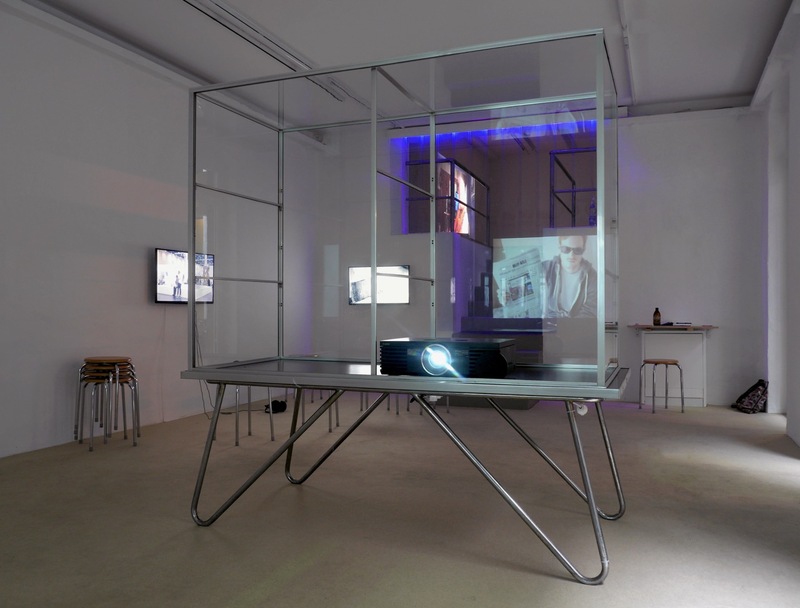 Selected solo exhibitions include Swiss Institute, New York; Galerie Max Mayer, Düsseldorf; Bonner Kunstverein, Bonn; VersaceVersaceVersace, Miami and Studio for Propositional Cinema, Düsseldorf. Recent group exhibitions include More Konzeption / Conception Now at Museum Morsbroich, Leverkusen; Living with Pop. A Reproduction of Capitalist Realism at Kunsthalle Düsseldorf and Artists Space, New York. A publication including texts by Elodie Evers, Sabine Glaeßner, Tobias Hohn, Pablo Larios, Nicolas Linnert, Nadin Mai and Giulio Vacchiano will accompany the exhibition. PANDORA`S JUKEBOX, URSULA XANADU, DJBOYZCLUB, GRAYSON REVOIR at ACUD club.